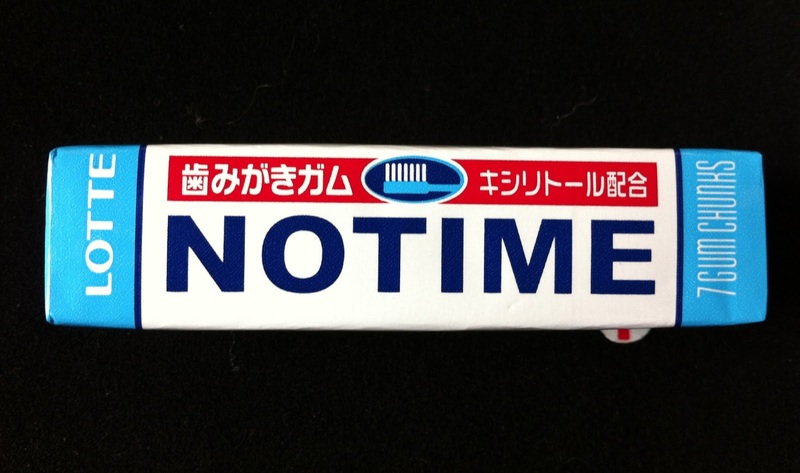 My friends Matt and Dan went to Japan and brought back this Lotte No Time gum for me. The packaging alone is brilliant. 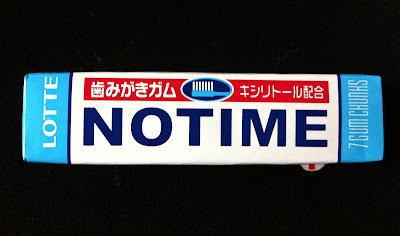 I love the graphics, the idea that there isn't even time to make a space between the words "no" and "time". 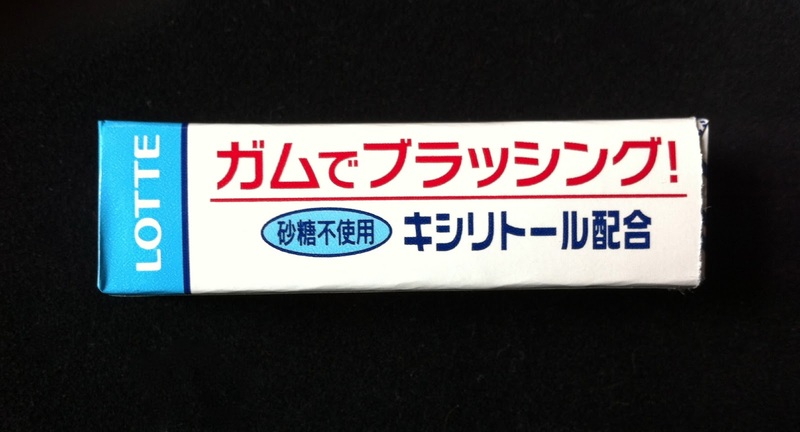 Then, to illustrate the point to any of us who don't read Japanese, there is the logo of a toothbrush at the top of the packaging. Only because of this does the gum really make sense. 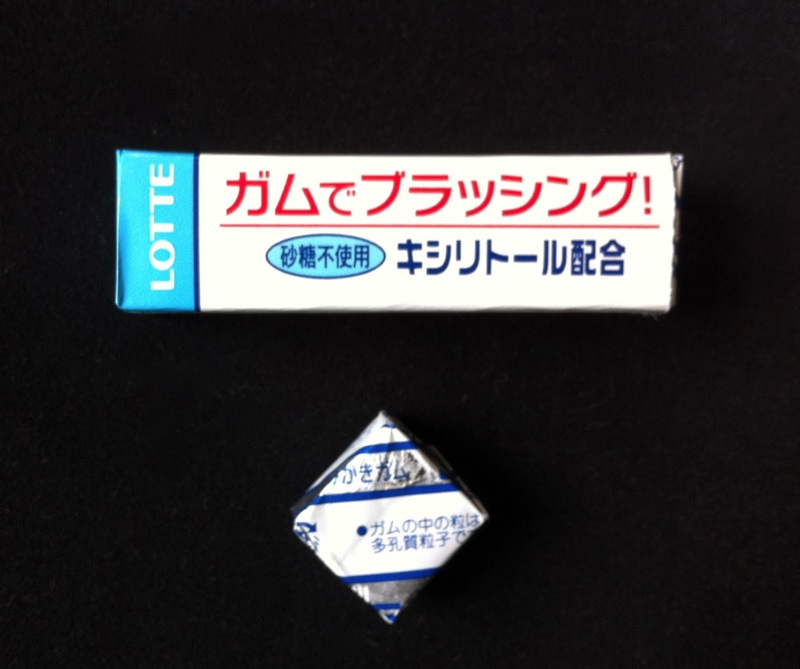 The 7 "gum chunks" come individually wrapped and are larger than your average piece of gum (I like that a lot). Each gum chunk is a very light pastel green, almost white but with a sickly greenish hue to it- it does remind me of toothpaste visually and the taste is a super light mint that refreshes your mouth but isn't so strong in flavor. It does leave one's mouth feeling more refreshed than your average gum chewing experience. It's not the most fun flavor ever- but there are plenty of those brands out there with wild flavors. 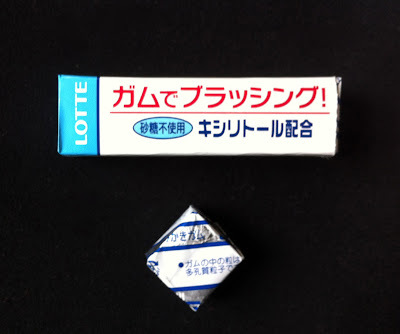 This is a practical and pleasant candy all in one. I love it and would buy tons if it were sold locally. 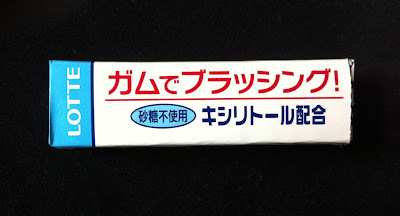 Have any readers found No Time Gum for sale in the United States? Please let me know! 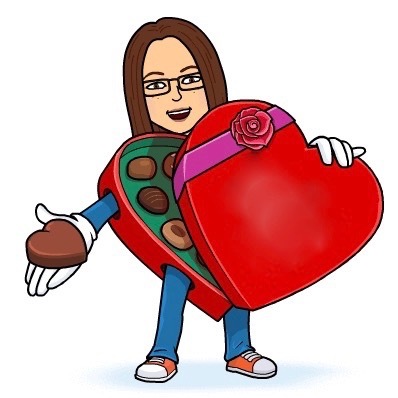 Thanks, Matt and Dan! No time to brush one's teeth except gum chunks? Next will be gum chunks for people with no time to eat! I think it's safe to see that there is not a single LOTTE NOTIME in Fes.